Vintage Sales & Flea Markets. while we build the best Texas Resale Directory. 107 E North Loop Blvd. 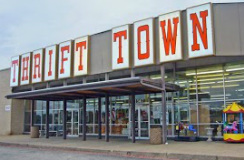 Rockwall Helping Hands Thrift Store. Too Good to be Threw, Inc.